General Manager of GlaxoSmithKline (GSK) Consumer Healthcare Malaysia and Brunei, giving a speech during the Horlicks NutriQuest roadshow. 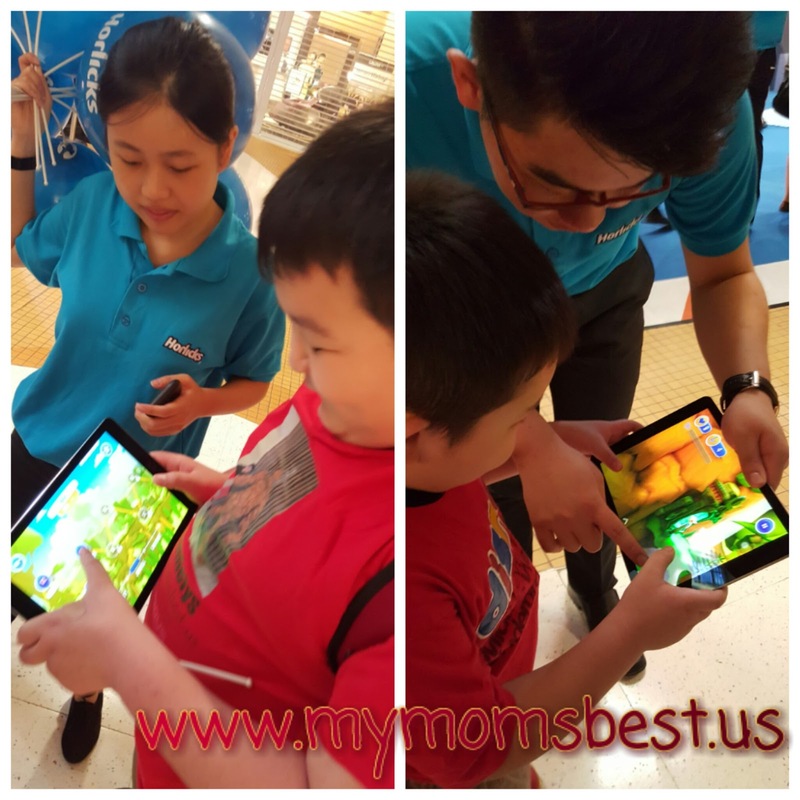 Last Saturday, we have a family event at Horlicks NutriQuest Campaign, Horlicks NutriQuest roadshows that held in orange concourse Sunway Pyramid. 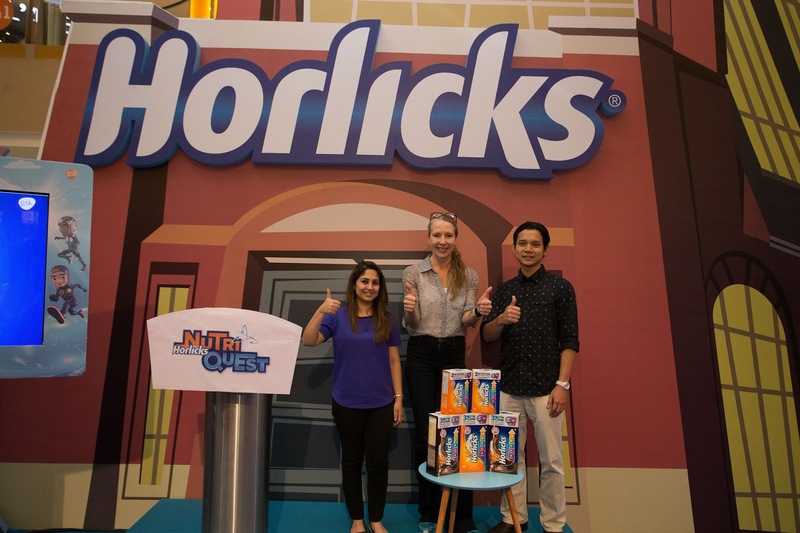 GlaxoSmithKline Consumer Healthcare Sdn Bhd (GSK), a leading global science-led healthcare company, today unveiled the nationwide Horlicks NutriQuest Campaign and announced its new mobile game application during the interactive launch. 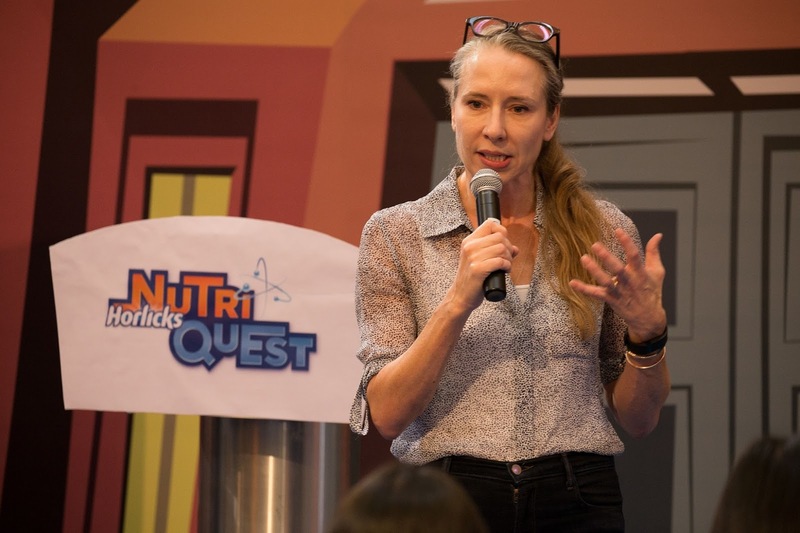 Horlicks leverages on an exciting platform to quench kids’ thirst for a thrilling adventure to hunt and defeat the villainous Dr. Greedy with the NutriQuest heroes through multiple worlds. 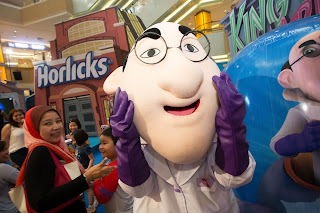 The evil scientist, Dr. Greedy has taken over the Horlicks Factory because he does not want the kids to benefit from the nutritional goodness provided by Horlicks. (From L-R) Group photo of GSK - Rida Alvi, Senior Brand Manager Malaysia; Stacy Wallace, General Manager of GSK Consumer Healthcare Malaysia and Brunei; and Rasyidi Rahman, Senior Area Brand Manager in Southeast Asia, present at the media launch. In efforts to save the world and Horlicks Factory, kids are invited to be on a virtual quest with the four tall, strong and sharp heroes; friendly Damien, clever Omair, sporty Akin and the extremely smart Ida, to beat Dr. Greedy. In this level-based game, children will start their quest in the City, followed by the Jungle and they will advance to the final world – Factory where kids finally get to meet and defeat Dr. Greedy. My sons enjoy themselves playing this game and we have also installed it on the smart phone and Ipad. Dr. Greedy, the evil scientist who has taken over the Horlicks Factory in the NutriQuest game and he does not want children to be taller, stronger and sharper! Spearheaded by Horlicks, the brand is committed in reaching out to kids through proper nutrition to strive to be tall, strong and sharp. The Horlicks NutriQuest campaign features a line-up of activities which are readily available online and on-ground. 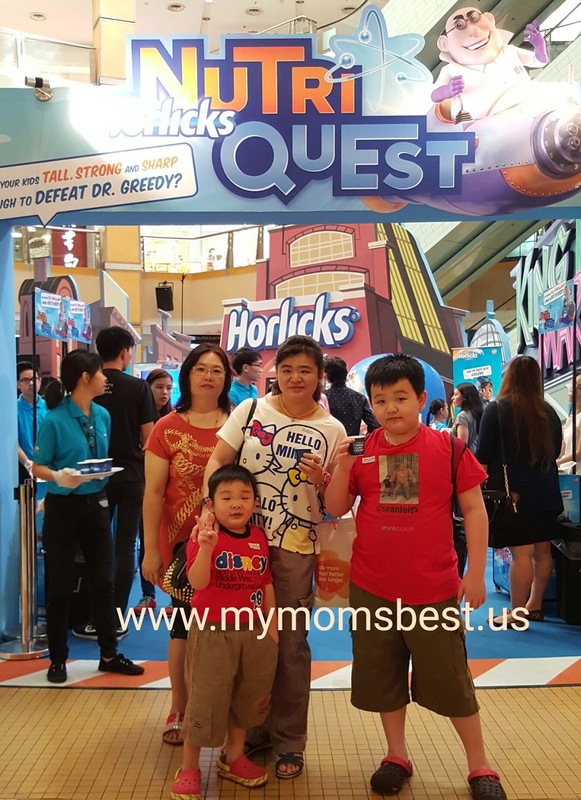 Aimed at driving further engagement with kids, Horlicks brings to town a series of mini roadshows, retail promotions with Horlicks and NutriCoins, as well as the prizes redemption on the website of Horlicks NutriQuest. My son trying the newly-launched mobile game application at the Horlicks NutriQuest roadshow. The campaign possesses a unique approach to engage kids of all ages and provides a platform for kids to learn about nutrition in a new light. Stacy Wallace, General Manager of GSK Consumer Healthcare Malaysia is delighted over the positive responses received towards the newly-launched Horlicks NutriQuest campaign. 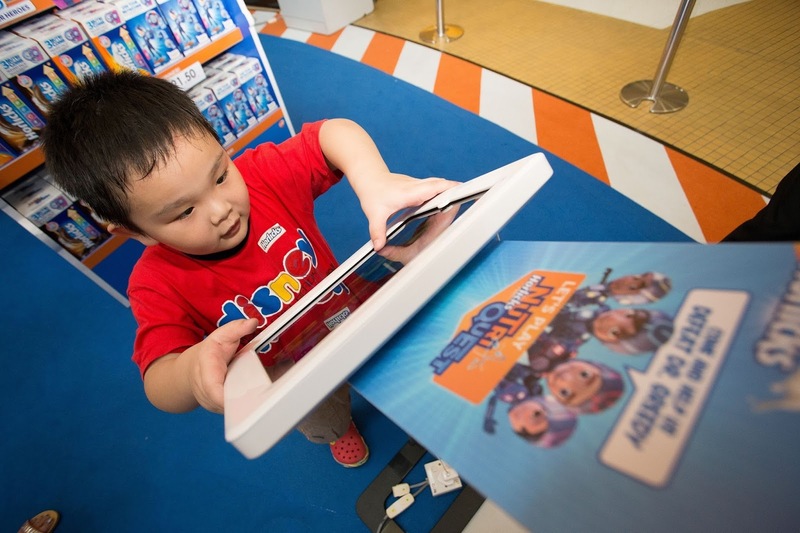 Going beyond the mobile game application, the Horlicks NutriQuest nationwide roadshows bring the game worlds to life. Kids and parents are invited to participate in the challenging game booths which feature interactive activities such as: the ‘tall’ booth that encourages kids’ growth by jumping high to catch the Horlicks star; the ‘strong’ booth where the kids face an inflatable of Dr. Greedy’s punching doll; and the ‘sharp’ booth which tests the kids’ accuracy by shooting down Dr. Greedy and his metalloids. You can also collect the NutriCoins that come together with every purchase of Horlicks pack within the duration of the campaign. Each NutriCoin can help kids to unlock new exclusive levels in the 4th Dimension World. The NutriCoins can also be used to collect exclusive Horlicks NutriQuest prizes such as the characters key chains, NutriQuest cap and the NutriQuest watch through online redemption at https://www.horlicks.com.my/nutriquest/prizes.html. It was a wonderful event where my kids enjoy themselves. For more pictures on the event, you can click on the link above to view. For more information on Horlicks Malaysia, please visit https://www.horlicks.com.my. For more information Horlicks NutriQuest campaign, please visit https://www.horlicks.com.my/nutriquest or https://www.facebook.com/HorlicksMalaysia or call the GSK consumer hotline at 1-800-88-3225 or email ml.customer-relations@gsk.com. About Horlicks - Horlicks, 'The Growth Nourisher, is a nutritional drink made from wheat, milk and malted barley and contains essential vitamins and minerals for wholesome nourishment of the entire family. Throughout its history, Horlicks has provided nourishing refreshment for millions of children and adults all over the world.